Chiptune Runner is an indie music video game where an endless runner meets step sequencer. 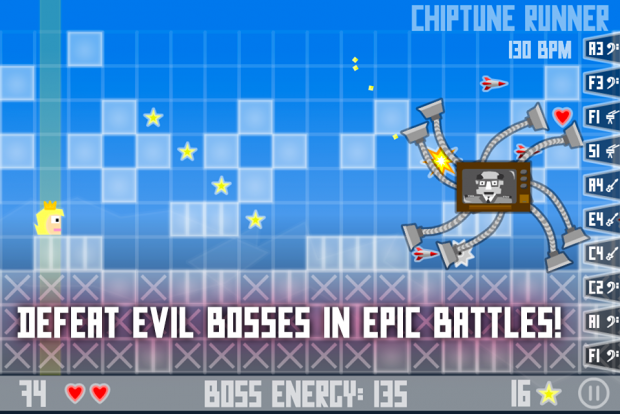 Take your hero on an exciting journey through platform levels, fight epic battles against bosses, make your own chiptunes, be the Chiptune Runner! 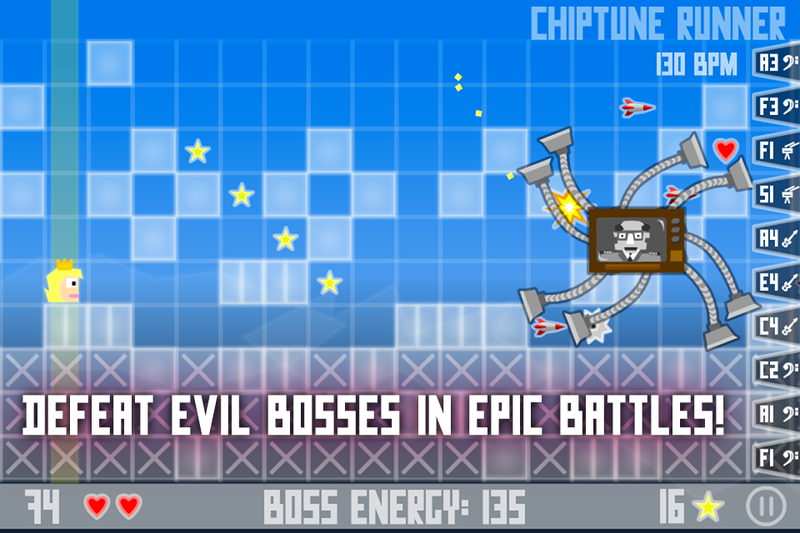 Main features: - music endless runner - real time chiptune music creation - built-in step sequencer - over 30 unique levels and more in updates - 4 game modes- epic boss fights! - in-game level editor - online levels sharing - new heroes to unlock - chiptune music instruments to collect - mobile versions for Android and iOS - more things soon in updates!